$$$$ AWESOME FREE BONUS $$$$ $$$$Buy One Get One FREE $$$$ !! !FREE BONUS !!! 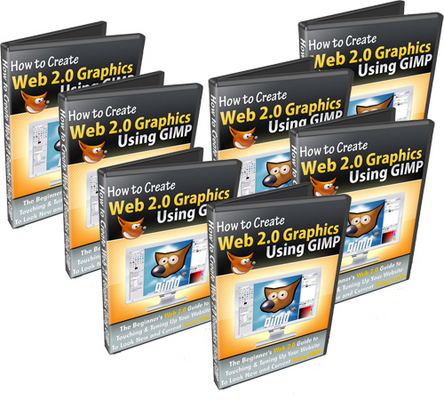 Welcome To How To Create Web 2.0 Graphics Using GIMP Videos Master ReSell Rights!!! This awsome package is every Beginners as well as Experst Web 2.0 Guide To Touching & Tuning Up Your Website To Create STUNNING GRAPHICS Using the Free GIMP Software! This package is an Easy-To-Follow, Step-By-Step Breakthrough Video series Showing How Any Internet Newbie (Experts get to learn a lot too! ;0) Can Churn Out Professional Graphics In A Matter of Minutes!... Using the Freely Available Gimp Graphics Software! Finally... Heres How To Create Beautiful Web 2.0 Designs, Realistic Buttons, And Eye-Catching, Attention-Grabbing Icons... And at the same time Shaming The Pros Who waste Hundreds of Dollars On Expensive Graphics Designers Who use the same Software to create these simple graphics! $$$== And Dont Forget your FREE Bonus!!! You can choose any product that we sell of equal or less value. Email me at mailaffiliate77[at]https://www.tradebit.com with the info on the product which you choose and I will email you with a download link for that product. Use the URL below to navigate my TradeBit Store and pick out your FREE product Today!